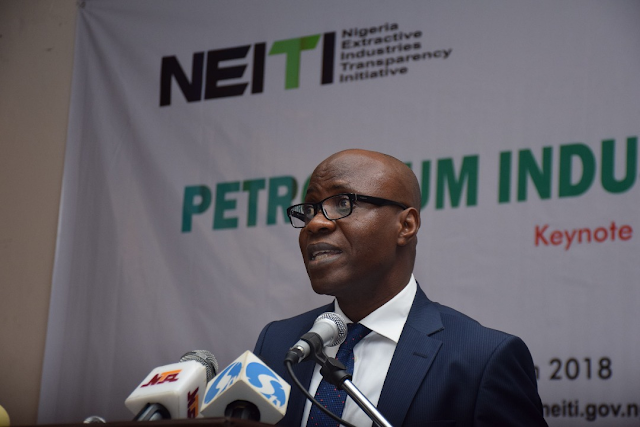 The Executive Secretary of Nigeria Extractive Industries Transparency Initiative (NEITI), Waziri Adio has been invited to the 40th EITI International Board Meeting holding in Berlin, Germany from the 28th to 29th of June 2018. The Executive Secretary is expected to brief the EITI Board on status of EITI implementation in Nigeria, including the impacts and how NEITI reports have helped to shape the on-going reforms in the oil, gas and mining sector. The reform in the oil and gas industry largely influenced by NEITI reports is driven by the 7-Big-Wins launched by the NNPC. In the Solid minerals sector, the Solid Minerals Development Road Map has also been launched and implementation commenced. A close look at the contents of the two policy reform documents shows that remedial issues in NEITI reports (1999 till date) have shaped the direction and contents of the two major reform initiatives on-going in Nigeria’s extractive industry. The invitation is seen in NEITI as a timely recognition of Nigeria’s high ranking profile as an important implementing country, where reports not only shape public debates but have triggered increasing public demands for reforms. While in Germany for the Board Meeting, the NEITI Executive Secretary will also consult widely with other national coordinators of implementing countries on issues of peer learning, information sharing and capacity building.